I have always loved summer camp. From my days at large outdoor day camps in the rolling hills of Western New York to my summers at overnight camp in the Finger Lakes, my childhood was filled with memories of boondoggle, popsicle stick boats, field days, color wars, and hours of outdoor exploration. I believe camp should be an experience available to all children and with so many options choosing the right one for your family can be daunting. There is a big difference between a summer camp with a general, “classic experience” with lots of activities and one with a particular focus. Older children can target in on their interests easier than younger ones. Try to find out what he/she really loves and really wants to be doing over the summer and then look for a camp that specializes in that. Just because your sporty girl is on the field all year doesn’t mean she wants to go to sports camp. Ask. And for younger campers, look for camps that offer the classic, wide range of activities including arts and crafts, music, outdoor nature and science, and sports. Exposing younger campers to a variety of activities will keep them interested and engaged and help you and them figure out what it is they love most about summer camp. If you have a younger child going to day camp, you may not be ready to put them on a bus. That means someone has to drop-off and pick-up. But since summer is already about juggling schedules, you may want to chose a camp that’s close to home or work to make it all a little easier. And having a friend or two with whom to carpool makes it even more so. 3. Big pond, little fish. Every child is different and not everyone thrives in a very large group. Your child may prefer an intimate, focused camp of 20-30 as opposed to other kids who love the hustle and bustle of a much larger camp of hundreds. To help distinguish, look for phrases like “limited class size,” “boutique,” or “exclusive.” Also, make sure you know what the student to teacher ratio is as an overwhelmed staffer can lead to a negative experience for campers. Smaller ratios mean a more personal touch. Check out the facilities. Are they clean? Are things in good condition? Is the equipment falling apart? And always ask about the provisions they have if there is an emergency. Summer camp safety is so important and a facility that has a solid plan offers a lot of relief to worried parents. 5. But are THEY nice? A good staff is key to making a summer camp experience great. Many camps hire teenagers to wrangle the kids. At times, these counselors seem like children themselves. Ask if the staff has experience working with children. We prefer to look for camps that employ educators or certified teachers, teaching artists, or at the very least college students with a focus on education and/or children. A happy, enthusiastic, and high-energy staff will ensure your children will feel the same. The price of camps can vary greatly so decide on your budget before you start shopping. Many camps offer a shortened week option so perhaps if you love a particular camp you can send your child 2 or 3 days instead of the full week. If finances are an issue there is nothing wrong with asking about a reduced tuition alternative, scholarship, or even see if your school has discounts for specific summer camps. Due diligence is crucial when choosing a summer camp. Call the camp, ask questions, speak to the director and ask about the daily schedule and what campers can expect. Go check it out if you can, see how it runs, and if kids are happy. You can figure out a lot just by how someone is on the phone, how clear the website is, or what other parents (and kids) have to say. 8. Don’t forget to smell the flowers. We can’t forget that summer is about downtime too. Children can be overscheduled all school year long and summer is an opportunity for them to wind down and rest. You may want a few weeks unscheduled so you can take a family vacation, or a staycation and let them catch up on summer reading and playing with friends. Again, look for camps that offer flexible schedules. A camp that allows just 2 or 3 days a week provides the best of both worlds: scheduled activities and free time. 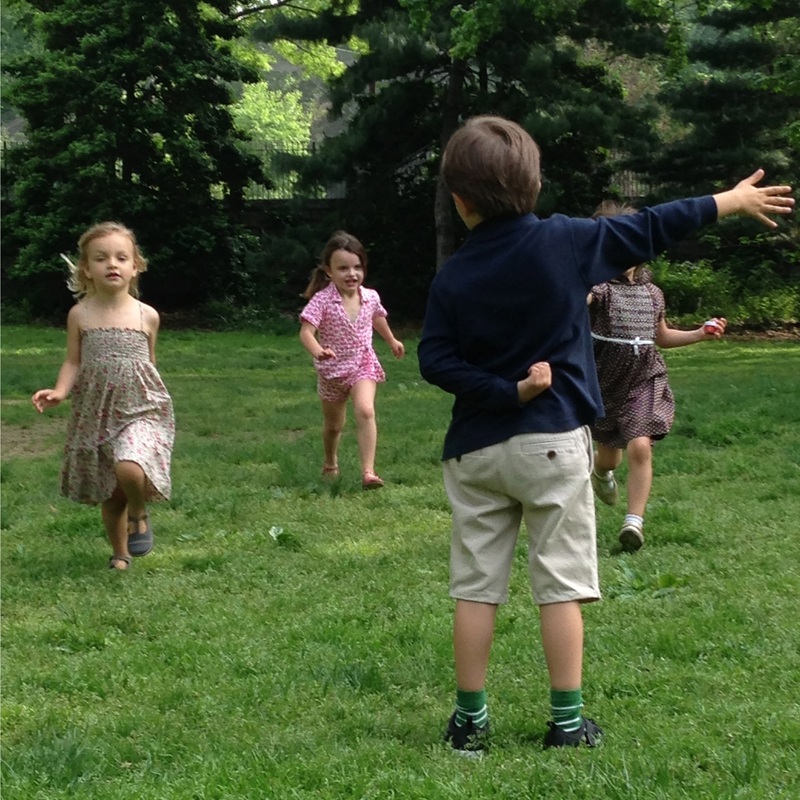 Having a summer off from the rigors of school to focus on a passion, run around in nature, or spend time with friends outside of the normal “routine” can be one of the most rewarding experiences of childhood. My camp summers still provide inspiration all these years later. Camp should be fun. Nothing but. And by following these simple tips you can ensure your children have the best summer ever.